In part one of this five-part series about compliance e-learning, we looked at creating specific learning objectives. 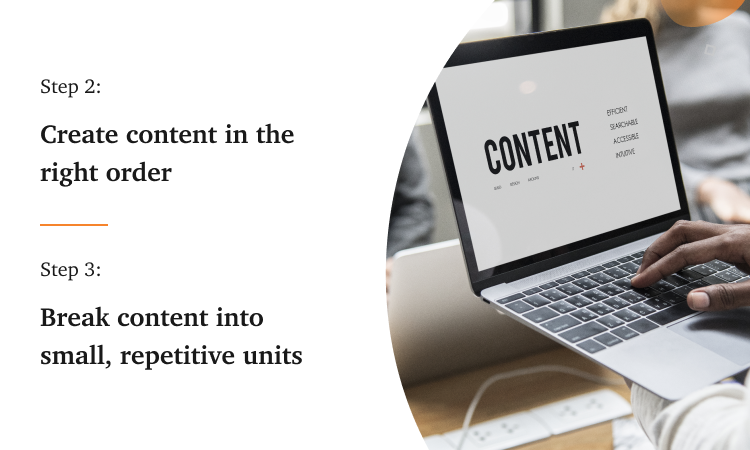 Now, let’s look at the right order to follow when creating e-learning content on compliance and how to start creating the most effective content. When creating a compliance e-learning course, it’s tempting to start by writing all the content and then thinking up test questions afterward. The problem with this approach is that you wind up with "PowerPoint-like" courses that bombard the learner with information. Learners will quickly feel overwhelmed and zone out. The more effective way to create engaging e-learning content is to start with your objectives in mind. What are the questions you want learners to be able to answer after completing the course? Once you know these questions, write the content to give learners the knowledge they need to answer them. Which personal data should I have access to? What do I do if I receive sensitive customer data? How do I correctly save customer data in our CSM software? By starting with simple questions like these, you gain a clearer view of what really matters, so you avoid overwhelming the learner with less relevant information. Always keep things specific and relevant to the learner. Repetition is a proven method for internalizing new knowledge. When training on abstract topics like compliance, repetition can be a very useful tool. It’s also important not to cram too much information into one training session or course. If you need to cover a wide range of compliance-related topics, consider spreading them out into multiple courses. This way, you avoid overloading your learners. Some people may think of repetition as boring. The key to presenting repetitive information without boring the learner is to maintain a smooth flow. That means write your content in short, easy-to-read sentences. Ideally, your sentences should never be longer than 20 words. 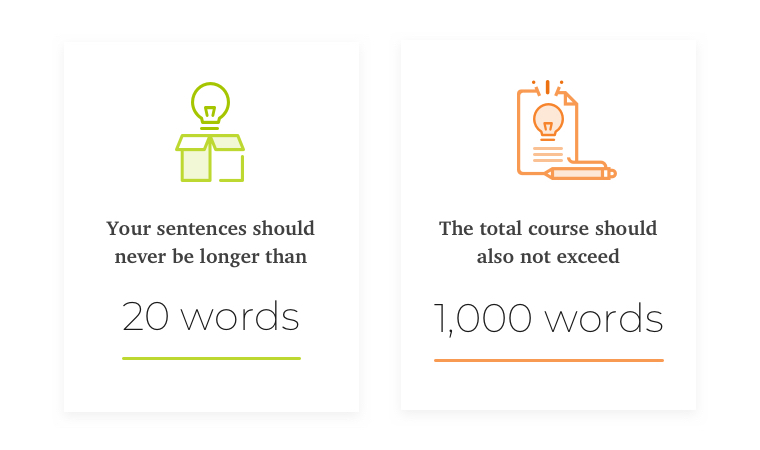 The total course should also not exceed 1,000 words. Stick within these limits to ensure your learners do not turn off. Being repetitive does not mean repeating the exact same words over and over. It simply means returning to the main objectives of the course whenever possible, so the key takeaways stick with the learner. That means keep you learning objectives (step 1) clearly in mind as you write content. Always look for ways to emphasize these objectives as often as possible. Read the third part of this five-part blog series. Or go back to part one.